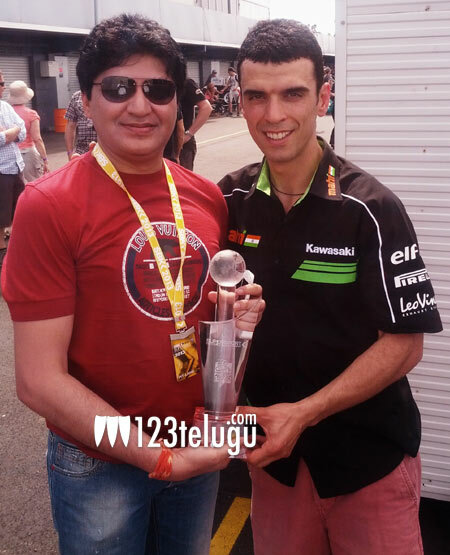 The defending and three-time World Supersport Champion Kenan Sofuoglu gave ‘Mahi Racing Team India’ its first win of the series and set a new lap record in 1′ 33.283”. With a total of 38 championship points, the team way ahead of others after the first race of the season. 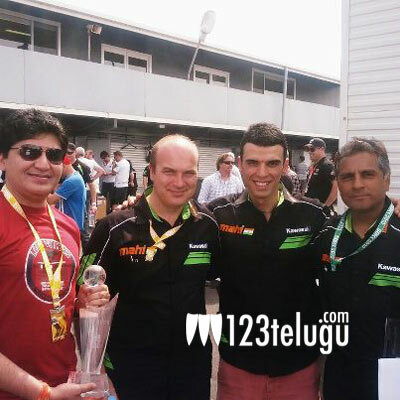 Hyderabad, India, February, 27, 2013: It was a double delight for the ‘Mahi Racing Team India’, on Sunday, the team lead rider Kenan Sofuoglu, the defending and three-time World Supersport Champion gave ‘Mahi Racing Team India’ their first win in the series and set the new lap record in 1’ 33.283”. Mahi Racing Team India’s Fabien Foret finished 4th with 23’43.575. Also, Mahi Racing branded Kawasaki Superbike ZX-10R with Tom Sykes, runner up in the World SBK Championship 2012 finished 5th at Phillip Island amidst the monopoly of the podium by Aprilia riders. Overall, it was a great racing weekend for Mahi Racing and Kawasaki. Sofuoglu’s triumph positioned Mahi Racing Team as one of the front runners for the title in this 15 round championship. With this win and total of 38 championships points the team is way ahead of others after the first race of the season. Kenan Sofuoglu won the 32nd race of his career in World Supersport Race at Phillip Island by beating pole man Sam Lowes (Yaknich Motorsport Yamaha), after a thrilling battle that went on throughout the entire race. “It was a near perfect race for us and I am very happy that I and my team have started the campaign on the winning note,” said Sofuoglu after the race. The three-time world champion showcased the speed and reliability of the Kawasaki ZX-6R by taking the chequered flag 1.899 sec ahead of Lowes. Sofuoglu stopped the clock at 23’32.480 and in the bargain also recorded the fastest lap timing of 1’33.283 on the 15th and final lap. The 2013 race season is expected to have 15 rounds. The Indian Team riderline-up include triple world champion Kenan Sofouglu and former world champion Fabien Foret. Supported by Kawasaki as its factory team, with technical direction in the hands of Andrew Stone, the Mahi Racing Team will be moving on to Aragon in Spain for the next round on 14th April 2013, with supreme confidence. Result: (Top 4 Riders) 1. K Sofuoglu (Mahi Racing Team India) 23’32.480 2. Sam Lowes (Yakhnich Motorsport) 23’34.379 3. Michael vd Mark ( Pata Honda World Supersport) 23’39.251 4. Fabien Foret (Mahi Racing Team India) 23’43.575. About N-Motorsport: N-Motorsport joined hands with Rhiti MSD of Cricketer Mahendra Singh Dhoni to power Asia’s first super motorbike racing team – “Mahi Racing Team India” in the FIM Superbike World Championship 2012-2013. N-Motorsport is promoted by South Super Star Nagarjuna Akkineni, Nandish Domlur and Naga Chaitanya Akkineni.